You know it’s going to be a good night when the second you walk into the club, you feel like you just ate a ten strip, without actually having to do so. This is purely based on the fact that everyone around you is ready to have a complete meltdown on the dancefloor. With a simple “check-in” to Grand Central on Yelp, you are awarded one free shot of terrible whiskey; and as your throat burns and you sass like a cat with a hairball, you are reminded once again of the greatness that will be the night. Classixx began their set just before that terrible shot of whiskey went down the hatch, and I was able to dance my way through it with their smooth remix of YACHT’s “Psychic City”. They opened their set with “I’ll Get Ya,” but this was a nice choice to follow up with; an easy going dance number that gets your blood pumping just enough to ease you into the set. 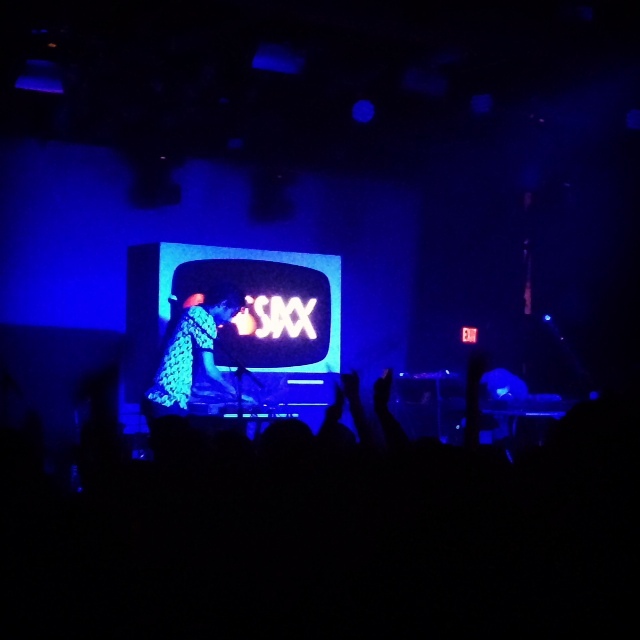 Classixx is Michael David and Tyler Blake, a production and DJ duo based in Los Angeles. It should be said that they put out one of my favorite albums of 2013 (their debut album), Hanging Gardens. Their live show included Michael David playing his guitar along with their music, which gave their performance an added realness although there were still many prerecorded vocals. After “Psychic City”, they continued with the mellow track off Hanging Gardens, “Borderline”. The biggest surprise for me in their set was when they played Cut Copy’s own “So Haunted”, as remixed by Knightlife End. This can be heard on the Cut Copy mixtape So Cosmic, and this track also samples Aphex Twin’s “On”. The trick to this was that they only played the intro, before segueing into their own song off of Hanging Gardens, “Holding On”. It was a perfect transition from one to the next, but I was still grinning at the fact they threw that So Cosmic reference in there. 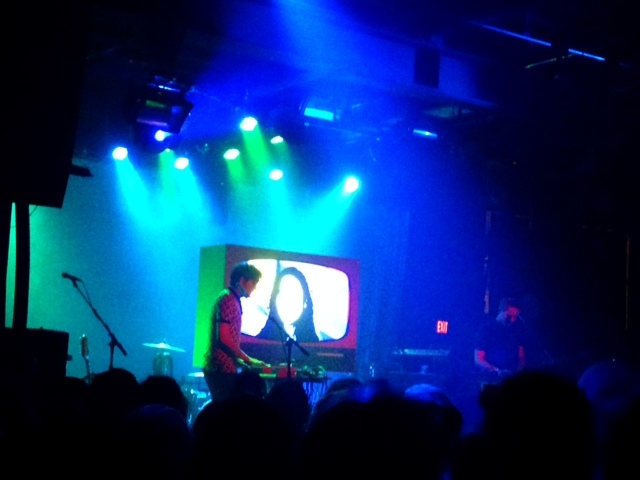 Their set ended with “All You’re Waiting For”, which features vocals by DFA’s Nancy Whang. Although not physically present, she was projected on a screen in a psychedelic array of colors, staring blankly at the camera singing along. Set break proved to be a good time for old friends and new friends to connect. Strange people, lovely people, drunk people, and people that I can’t even find the words for. One Doc Martin laden man sporting 2 dollar neon sunglasses turned to me and said, “For me, it’s like Joy Division. Joy Division 2014.” I think we all could agree that Cut Copy holds special meaning to us all, touching on that old school vibe of dance and music that is hard to find these days. Cut Copy opened their set with “We Are Explorers” and “Take Me Over”, after which they greeted the audience and were grateful to be back. Up next they played “Free Your Mind”, which created space for a 90s rave music vibe. This rave vibe was eclipsed with nuances of the great 80s era, but I give a lot of that credit to front man Dan Whitford, whose vocals are theatrical and spot on, never missing a note. They were able to change course a bit with the Beach Boys inspired jam “Take My Hand”, which also garnered some chanting along from the audience. Highlight of the show for me was when they finished what Classixx started with their own rendition of “So Haunted”, tying both Classixx and Cut Copy together in a tapestry of sound. Seriously though, if you haven’t heard Cut Copy’s So Cosmic mixtape, then you need to get on that immediately. I digress. 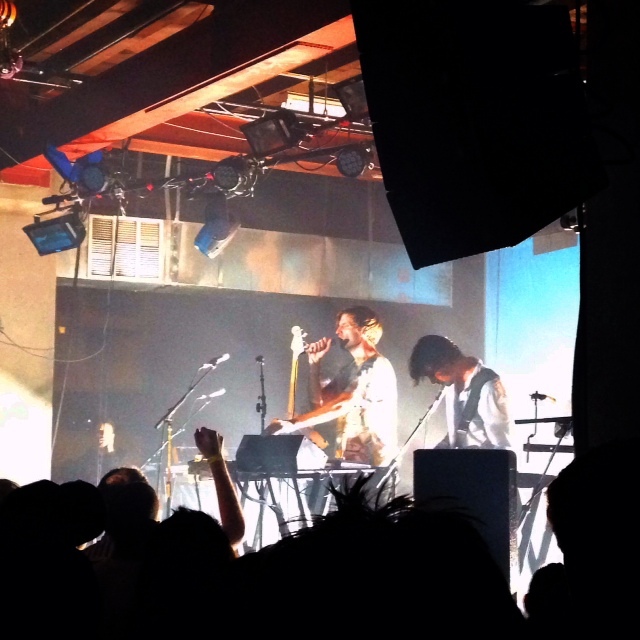 The energy of Cut Copy was truly explosive from the stage, with Dan Whitford gesticulating wildly front and center. The tall lanky tie-dye saturated man before us was a beacon of light, singing his heart out with his David-Byrne-addled eyes and dance moves to rival Napolean Dynamite. 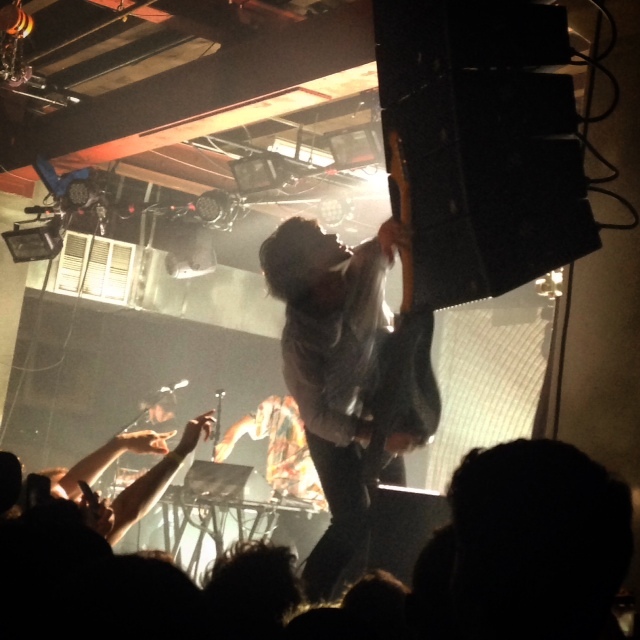 The rest of the band was not lost on this; they also held their own energies, with another guitarist at one point jumping up onto the speaker and rubbing his equipment all up on the speaker above him. Their classic songs “Hearts on Fire” and “Lights & Music” got epic responses from the audience, and there was not a single person I could see who wasn’t dancing. Their encore included the slow (kinda lame) ballad “Walking in the Sky”, but they ultimately ended on a high note with Need You Now.